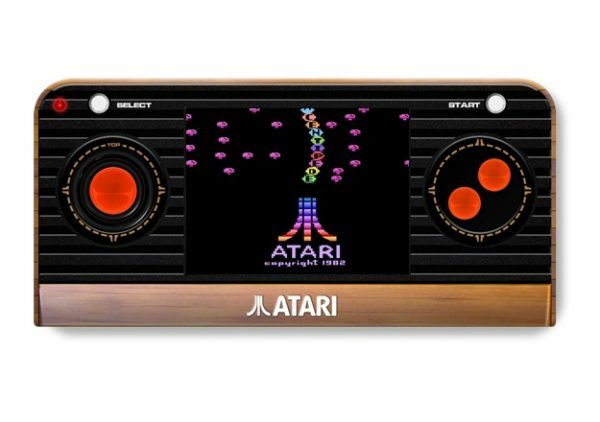 A new 2600-based handheld is coming later this year and it is called the Atari ‘Retro’ Handheld. The system retains the console’s iconic "wood" effect, and comes packed with 50 classic games. The Atari ‘Retro’ Handheld console will retail for £34.99 and the Atari ‘Retro’ TV Plug and Play Joystick will set you back £24.99. Both are available to order via FunStockRetro, and if you use the code FMYTH5 on checkout you’ll get 5% off your total order. I'll be having me one of those. At least compared to the Megadrive ones it wont matter about the sound being crap! Shame there's no Activision games, but at least the price is decent. Bet this is going down a storm over at RG. The Blaze connection and all that. Looks OK but WHY do these people insist on including paddle-control games??? That is a good question. It's almost as if they don't know that those games are not meant to be played with a paddle. A small rotating disc around the base of the thumbstick would be nice. Not perfect but usable at least. It would be something! Better than just having the joypad to try to work with a paddle game.